Scott Brown said he is taking time to recharge at home — studying Spanish and learning to play the guitar. 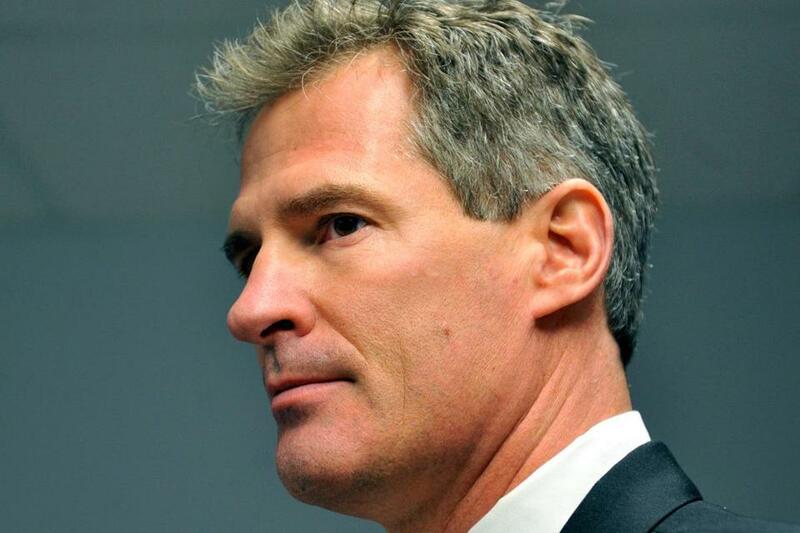 Former senator Scott Brown, appearing in a candid interview on Fox 25 Monday night, said he is “thinking about” a run for governor next year, even as he gets used to being at home in Wrentham, away from the limelight. In the weeks since Brown stunned the political establishment with his decision not to run in the special Senate election to replace John Kerry, he has granted few interviews, despite signing on as a contributor with the Fox News network. The choice not to run again, he said Monday, was a political calculus. “To win the special [election] . . . and then running a year later or 13 months later, it’s like, really?” he said. Instead, Brown said, he is taking time to recharge at home — studying Spanish and learning to play the guitar. He also addressed the Twitter incident last month in which the former senator sent several odd, late night tweets that garnered media attention, calling it a case of “pocket tweeting” and blaming his iPhone. Any speculation that he was drinking, Brown said, was wholly inaccurate.